Since 2012, Ohio has developed social-emotional learning (SEL) largely in conjunction with its work concerning Positive Behavioral Interventions and Supports (PBIS). The state is making great strides in building out its SEL policy landscape and integrating SEL into its vision for education. What does this mean for you in your schools and systems in terms of SEL implementation? We’ll break it down for you. Committee for Children helped with the passage of this bill and holds up its policy pathways as a national exemplar in evidence-based, supportive discipline policy. 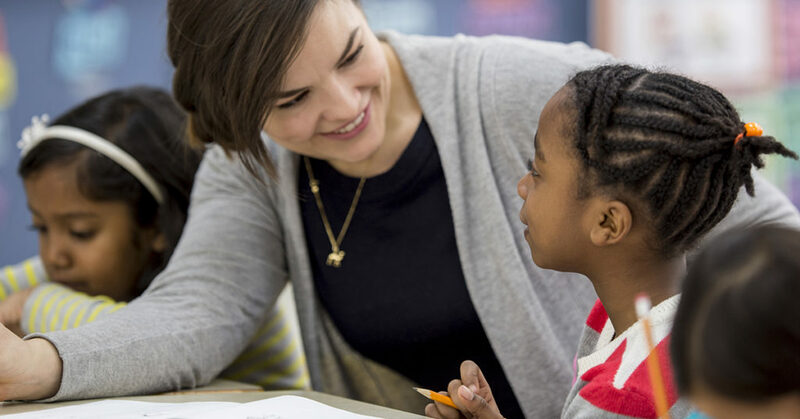 As part of our 40th anniversary, we invite you to join us in efforts like these to help lift your voice to continue improving SEL policy on the state and federal levels. Suspensions will be allowed only as necessary to protect immediate health and safety concerns of the child or others and, whenever possible, after consulting with a mental health professional. If mental health challenges seem to be the underlying reason for the student’s behavior, the school must assist the parent or guardian in locating a provider and accessing these services, including a referral, with no financial obligation for the school. The SAFE Act provides $2 million in grants for schools to improve school climate via PBIS, evidence- or research-based SEL, or both. Additionally, we track funding sources that are conducive to funding SEL. For monitoring purposes, the act also requires that school report cards include acknowledgment as to whether schools have implemented a PBIS framework, which may include data systems, an evidence-based curriculum and effective instructional strategies, evidence-based and data-driven classroom practices, and improving staff climate and culture concerning discipline. In 2012: Ohio Positive Behavioral Interventions and Supports (PBIS) Network was launched. The state also created SEL standards for Early Learning (EL). Early 2013: The state developed rules and policies regarding PBIS and the restraint and seclusion of students, which sparked deeper discussion about PBIS and discipline. Late 2013: Ohio PBIS Network developed a basic working structure with quarterly network meetings and established workgroups. 2015: The state expanded SEL standards from PreK through Grade 3. 2017–2018: The PBIS Network was providing PBIS awareness, training, and resources statewide. With the SAFE Act and prior measures, Ohio is ensuring that each child across the state “is healthy, safe, engaged, supported and challenged.” Learn more about the state’s Strategic Plan for Education for 2019-2024. Learn more about our policy and advocacy team’s efforts to support SEL, bullying prevention, and child protection, and follow our Advocacy in Action page, which highlights the work we do on the ground at state and federal levels.